I saw too many revolving sushi bars in Kyoto and Osaka, so when i was in Fukuoka, couldn't pass another day not going to one. I've been so fascinated how it is to eat in a sushi bar like this. A Conveyor Belt Sushi Bar 回転寿司 kaiten-zushi is the fast food of sushi. I've seen too many cheeky music videos set up in a sushi bar in Japan but this time, I'm making things happen and enjoying a lunch date with my host family. 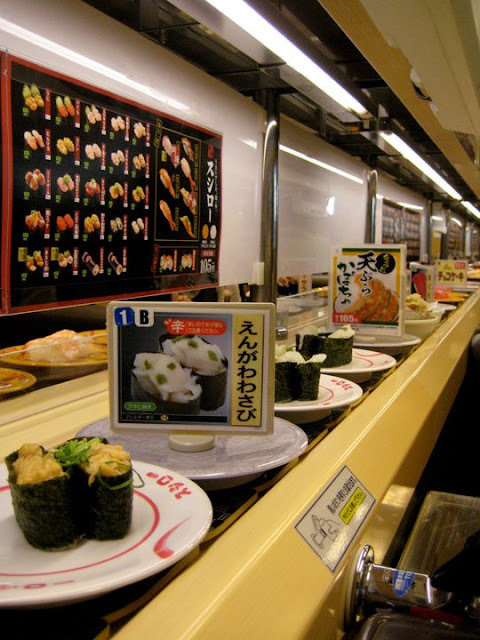 So, just imagine my delight once i stepped inside one of Fukuoka's biggest Kaiten-zushi! It's amazing how packed it is during lunch time. Groups of friends and family ordering like there's no tomorrow. It's quite affordable and they serve fresh and tasty Sushi, Sashimi and other short orders. An experience like no other, i must say! When we got there, the place was packed with so many people. We had to fall in line for a bit because all tables were taken already. Remember that in order to find a place that serves the freshest sushi, the place has to be busy. 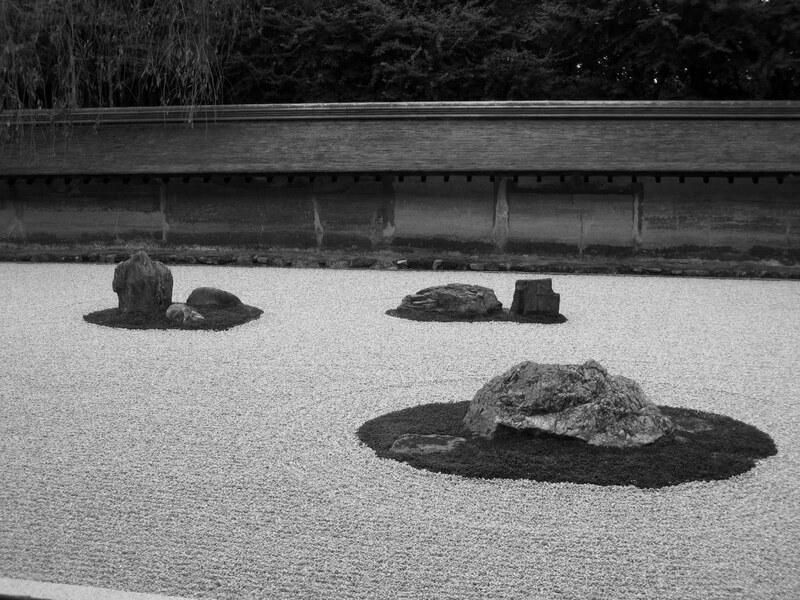 If there's no one there, head to the next sushi bar. This means new sushi and sashimi are served every few minutes. When I got to the table, i was clueless how everything works. So, my good friend taught me how it works around here which i am about to share with you now. 1. Pick a number and fall in line. Wait for your number to flash on the screen. The attendant will then lead you to your table. 2. You can now order for your drinks: fruits and other desserts, beers, colas and water are available. There's a complimentary tea available, too. Things move fast here, you'll get your drinks in no time. 2. Condiments like soy sauce, fresh pickles, and chopsticks are available on every table so no need to ask for one. 3. Pick any type of sushi you fancy. 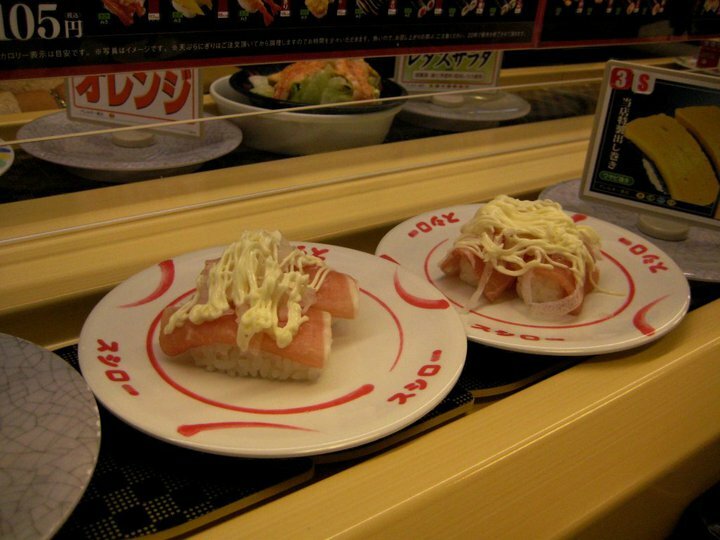 Plates of Sushi and Sashimi pass through your table or counter seat. Grab a plate and enjoy. Try out everything! 4. For special orders, you can press a button to ask for the attendant. He/she will be glad to assist you with your needs if your order is available. For small orders, the chef will place a signage with your table number on it. 5. Press the button again when you're done eating. The waiter will count the number of plates in your table to know your bill. Prices are great value for your money. This restaurant in particular serves 100 Yen per plate which is around P50 or $1. Not bad at all. This is one of my happiest meals ever. I wanted to try everything but i was stuffed already. Okay, call me chicken but i didn't try the Unagi. 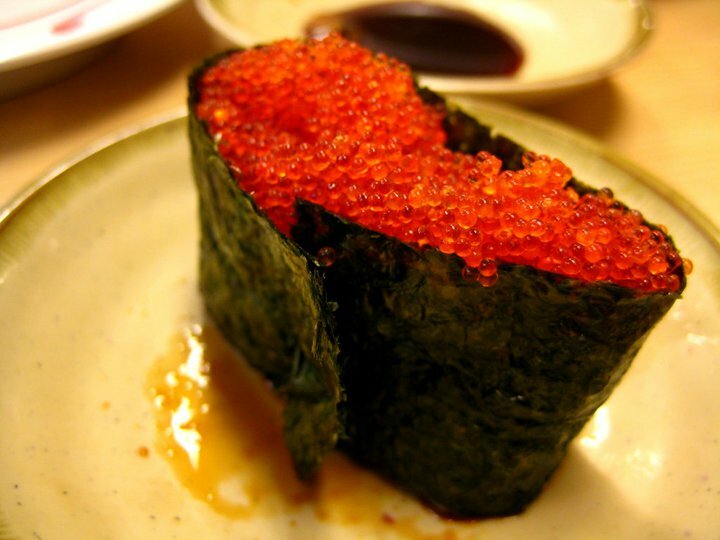 It's suppose to be the most popular dish in the Kyushu region, apart from the Ramen noodles. The thought of giggling/moving eel was enough to make me say no. I mean, i don't eat pork so Unagi was a given. I am not really that adventurous when it comes to food. I've tried out almost everything including Maguro, Kanburi, Tamago, Aburi Engawa, Shrimp and Pumpkin Tempura, Hirame and of course, Maki. With so many sushi and sashimi plates cleared, it's hard for me to choose my personal favorite but i have to say it's the salmon with cream cheese. I think i had four plates of that which means i had eight. 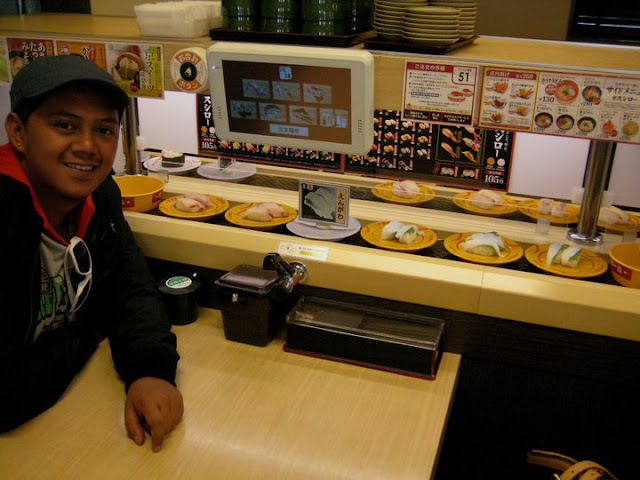 This conveyor belt sushi bar is a good place to go to for foreigners because you don't have to go through ordering sushi per sushi and then asking what's in it to a non-speaking waiter. Highly affordable and the food was excellent! 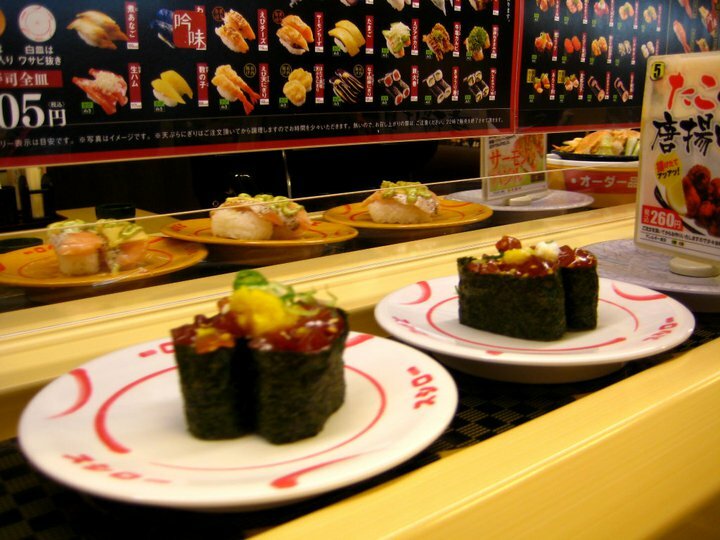 For food connoisseurs, going to a conveyor belt sushi bar is an excellent way to sample the best of Japan's most popular dish! 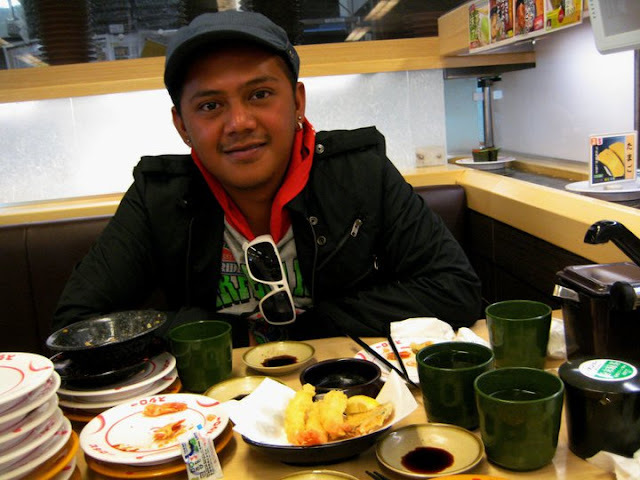 Watch out for more Sushi and Sashimi stories in my Tokyo post! Kampai!!! It seems that you really had a great time. And all those plates in your table, ikaw ang umubos? Wow. I never tasted an authentic sushi. But I'm looking forward to it. Kaya lang I'm not into raw foods that much. But still, I want to try. If I puke so be it. Hahaha. Meron talagang fish eggs na red? Uhm, quite interesting. And they look like sago. moving eel? I know I'm adventurous but I'll stick with the sushi instead! ilang wasabi pa kaya kelangan before I eat a moving seacreature! the crab fish looks tempting but the fish eggs look beautiful (parang sago. hehe) nice photos jerik! Nakakagutom. 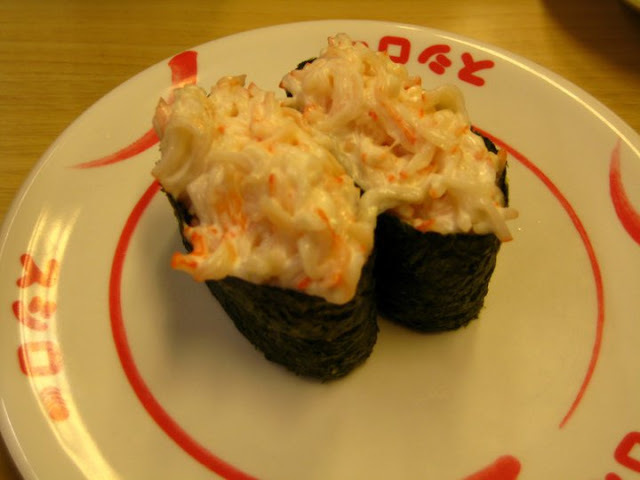 I want crab sticks with mayo. @poot actually, yes! ha ha ha i really wanted to try everything except lang talaga eel di ko masikmura. first meal ko tapos pang fear factor agad. ha ha ha With the fish eggs, surprisingly masarap ha. he he Thanks Poot! @lakwatsera de primera and not bad na sa price! Correct me if I'm wrong parang cheaper pa yata yung a plate (2 pieces) for P50 and sooobrang sarap siyempre. Thanks Claire! Sushi galore! Ang dami mong nakain sa 2nd to the last pic! ; ) Mukhang masasarap eh. Kaso I'm not fond of raw foods... though crabs with mayo and salmon with cheese looks yummy to try.. Yung salmon hilaw 'no? Nakakatuwa yung revolving belt prang sushi at sashimi all-you-can pero per plate pla charge nyan. @Ian Yes! he he masarap talaga. Like you, i've never been a fan of sushi but the food here is just out of this world. soooobrang sarap talaga! the crabs with mayo and salmon with cheese, both raw pero di siya malansa! Yes, they have a unique way of checking orders. Yung dami ng kinain ko wala sa dami ng kinain ng katabi table. i was counting, i think one person had 20 plates.